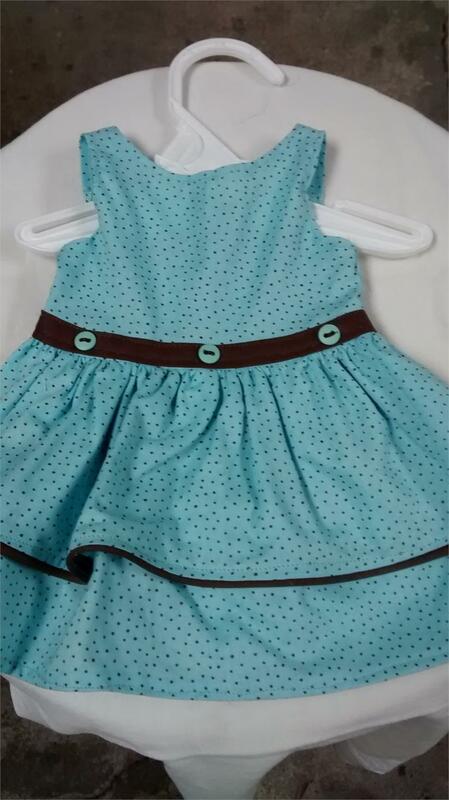 the aqua dress has tiny brown dots. It has piping on the edge of the ruffle, and brown ribbon with button trim at the waist. It will fit the American Girl and other 18 inch dolls.